Being in business is all about trying new things. The landscape is constantly changing and as soon as you get use to one thing (Snapchat) there’s something new to take it’s place (Instastories stole your game!). I’ve been wanting to get into FB livestreaming but was scurred so I stalled and stalled and stalled until a friend gently nudged me to just frickin do it. Well I know the only way to get good at anything is to do it over and over. So I tried again and it was better. This time I came ready with a question from a friend/past client. I always find it easier to go on camera with a question. It gives me something to focus on. 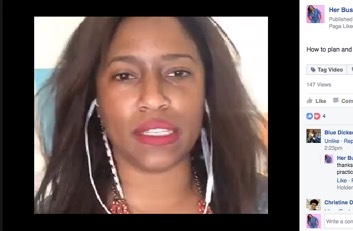 If you struggle with what to write in blogs or say on camera then ask someone what they need help with and use their questions or problems as a starting point. You can also just script your own questions as prompts too. 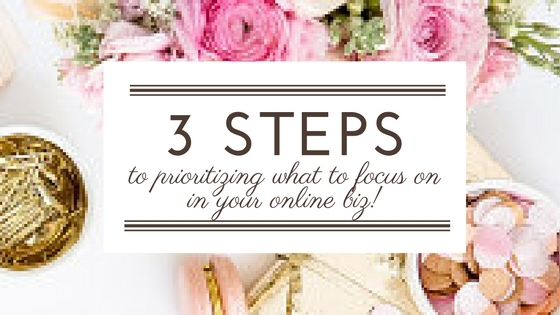 So this weeks blog is all about the 3 steps to prioritizing what to focus on in your online biz! P.S. I’ll be opening the doors to my group coaching and mastermind program in September. Wanna be on the VIP list (you’ll get access to special bonuses and perks). Sign up here.